Product prices and availability are accurate as of 2019-04-22 18:23:50 UTC and are subject to change. Any price and availability information displayed on http://www.amazon.co.uk/ at the time of purchase will apply to the purchase of this product. 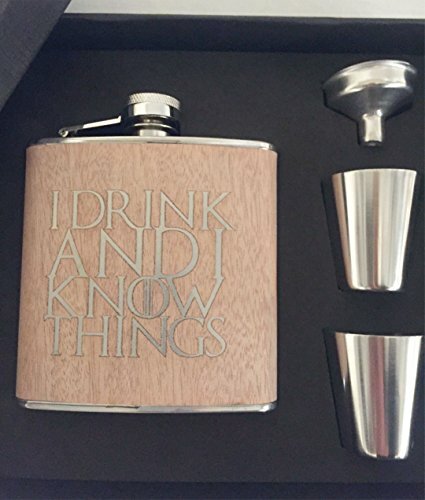 Game of Thrones inspired "I Drink and I Know Things" flask set. 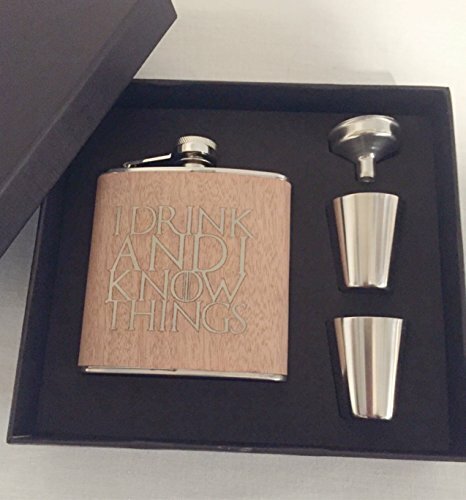 Must have item for fans of the series. High quality wood wrapped hip flask set with accessories. Manufactured in the UK by Derwent Laser Crafts Ltd.